WELCOME! 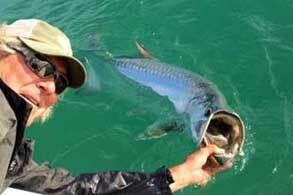 from Your Florida Keys Fishing Guide: USCG Master Captain & IGFA Certified Captain - Larry Sydnor - a professional, fully-licensed and insured Captain and a World Wide Sportsman/Bass Pro Shop resident pro-staff fishing guide. Choosing a guide is more important than anything else for a successful charter. I should be your Florida Keys fishing guide because the difference between a premier professional top Keys guide and the average guide is tremendous! I have the physicality necessary for outstanding control of my 18' skiff on the pole or my more spacious 22' bayboat. I have an extremely large repertoire of spots to fish–which is essential when weather or fish behavior becomes unpredictable. I provide the very latest in top quality high-tech equipment: boats + rods + reels + lures + flies -I tie all of my own- all of it! I know everything from knots, hooks and flies to placing the boat just right for your cast. I’ll know whether it is smarter to spend our day chasing tarpon, or whether other species present the better opportunity. I maintain all required credentialsto be fully licensed, permitted and insured to be entrusted with your charter needs - full list under About>Capt. Larry from the menu. 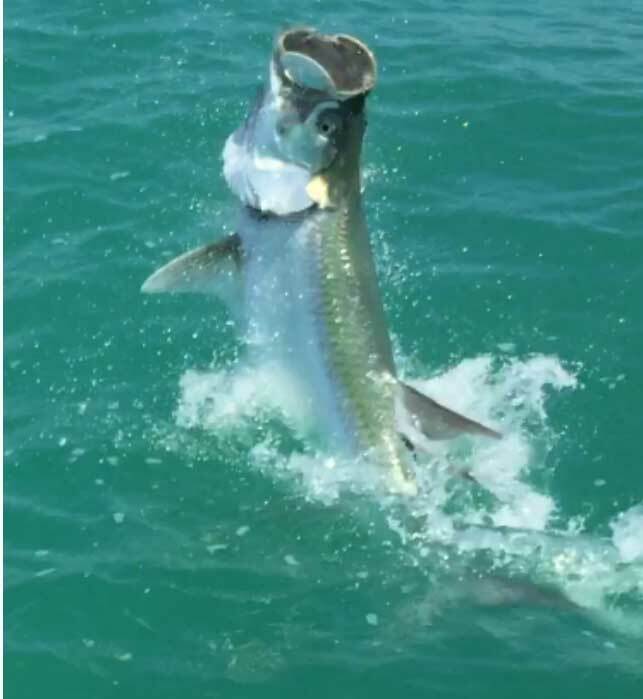 I supply all essentials including expert assistance and I'm passionate about what I do, so if you love to fish, come with me and stand on my bow and I will guide you to the fun and excitement of Florida Keys inshore fishing. BOOK NOW FOR AWESOME HOLIDAY FISHING! ANOTHER TOURNAMENT WIN! Guide to Grand Champion, Guide to Fly Division Grand Champion...................................................................... 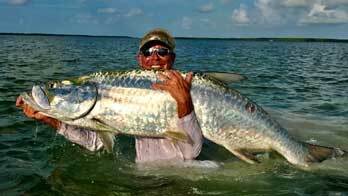 The Upper Florida Keys are fully recovered and fishing is fantastic!!! Ready to go..book your charter trips now - COME ON DOWN! TARPON, PERMIT, BONEFISH, SNOOK, REDFISH, TROUT and more. And as your Florida Keys fishing guide we could consider for fun: barracuda, sharks, mackeral, grouper, snapper and more! 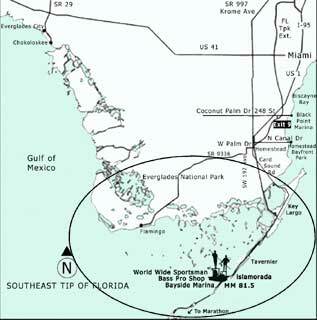 The Upper Florida Keys fisheries are far superior to anywhere else in the United States. 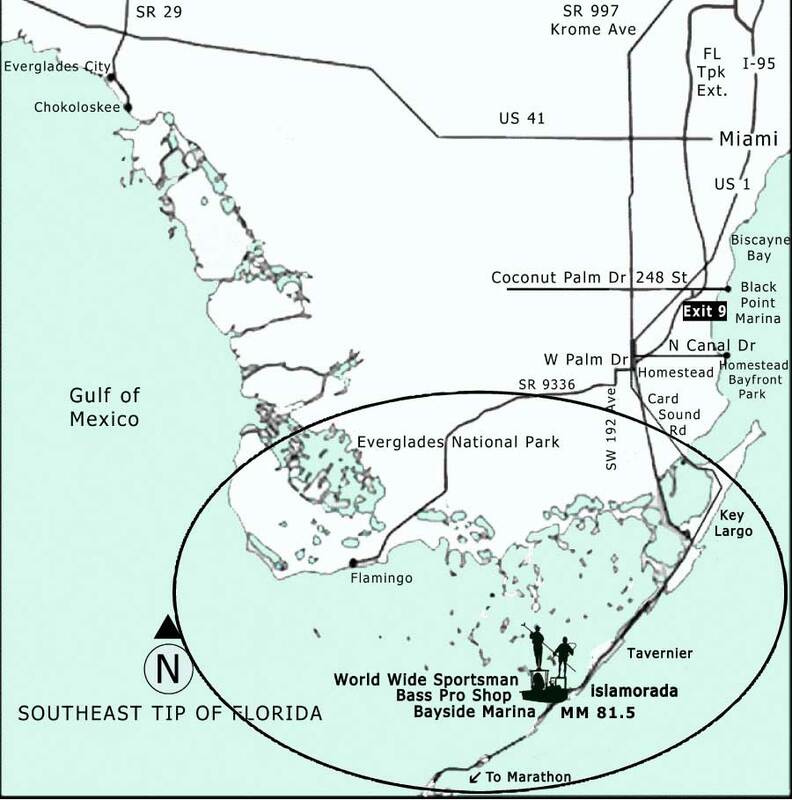 With me as your Florida Keys fishing guide, we’ll consider the flats oceanside and bayside in the Upper Keys into the 10,000 Islands backcountry over to Flamingo in the Everglades National Park. We’ll launch from World Wide Sportsman/Bass Pro Shop Bayside Marina, Islamorada or during our cooler months I can meet you at Flamingo to fish the backcountry. 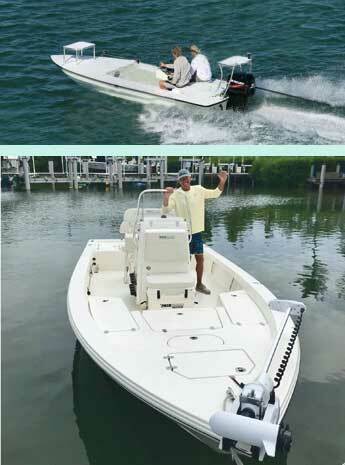 Two magnificent boats are at the ready, and they are both very specialized, technically-advanced fishing craft, one an 18′ skinny-water skiff outfitted with a custom poling platform when combined with my physicality assures a successful and productive trip on the flats for two anglers plus a 22′ bayboat to take 3 or more anglers comfortably for fun Florida Keys fishing. Charter me as your Florida Keys fishing guide, by simply going to the Contact page and calling to speak to a live person or completing the form so we can check availability. In the “Your Comment” field be sure to supply date(s), half or full day, fly or spin, and species to target plus any other helpful information. Check out FAQ in the menu (Frequently Asked Questions) to find current rates & seasons and many other details to help you plan your trip.Book Now!